If you have been looking for a completely upgraded home with views, custom finishes, custom floor plan, great location and shows complete pride of ownership than look no further. 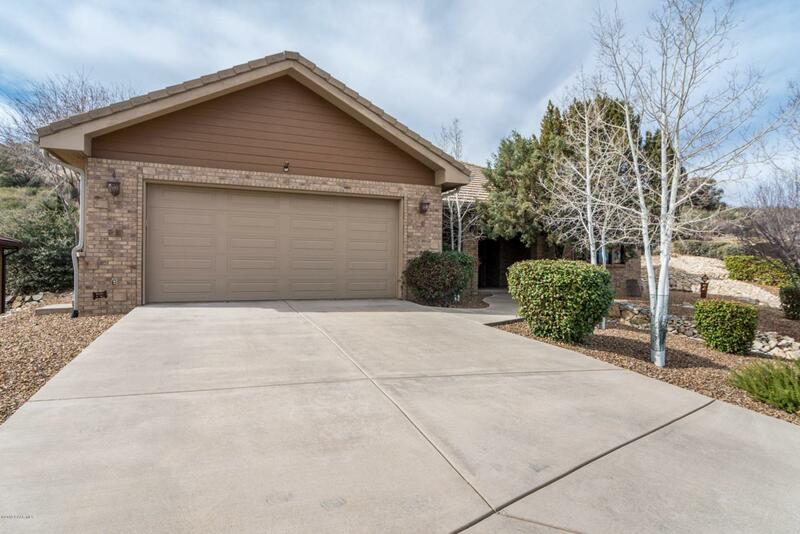 This home offers one of the best locations in Prescott being only ten minutes from all the popular spots such as downtown, the mall, hiking trails, the dells and healthcare facilities. The exterior of the home offers an elevated lot so you can enjoy crystal clear views of Northern Arizona capturing the San Francisco Peaks, Mingus Mountains and the Prescott Valley grass lands. The exterior siding is a gorgeous, well kept brick which gives it a very unique and desirable curb appeal.The interior of the home offers a wonderful floor plan that provides an open concept from the kitchen to the living room, large officeas you enter the home, 2 extremely spacious guest rooms with large guest bathrooms, vaulted ceilings, completely upgraded kitchen with semi dark cabinets, upgraded stainless steel appliances and granite counter tops. The master bed room is spacious with great natural light and access to the backyard. The master bathroom presents a huge soaking tub and large two way shower. The back yard is private and fully landscaped offering a pad for a spa, outdoor natural gas fire place and low maintenance rock. The garage is a very large 4 car garage perfect for your toys or family vehicles. Just off the garage is the over-sized laundry area that is sure to please. There is so much to list, but words can't describe this beautiful home so come see it with your own eyes and fall in love!